. إن الخدمات التي يقدمها Franklin Villa تضمن للنزلاء إقامة مريحة. يمكن لضيوف الفندق الاستمتاع بالميزات التالية على أرض الفندق: واي فاي مجاني في جميع الغرف, مكتب الاستقبال على مدار الساعة, مرافق مخصصة لذوي الاحتياجات الخاصة, تسجيل وصول/خروج سريع, تخزين الأمتعة . لقد جهزت هذه الإقامة الفندقية بعناية فائقة لتوفر مستوى عالي من الراحة. في بعض الغرف يجد النزيل تلفزيون بشاشة مسطحة, اتصال لاسلكي بالإنترنت, اتصال لاسلكي بشبكة الإنترنت (مجاني), حوض الاسترخاء, غرف لغير المدخنين. إن مركز للياقة البدنية, حمام سباحة خارجي, حديقة, غرفة ألعاب هو المكان الأمثل في الفندق للاسترخاء وتفريغ طاقتك بعد نهار طويل. مهما كانت أسبابك لزيارة بريسبان، فإن Franklin Villa هو الخيار الأفضل لإقامة مثيرة وممتعة. 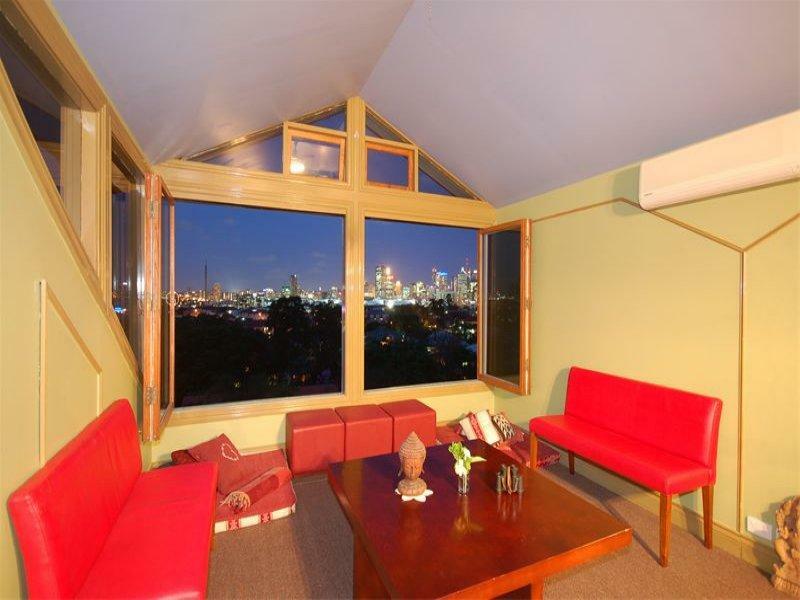 Great accommodation close to Southbank with friendly owners and great views. This was a quiet house away from the normal tourist area. I had the loft room which was lovely, great to be able to open the huge windows & sleep with fresh air. My only comment is that the loft room is definitely not for anyone who is not pretty agile. Beside the narrow stairs the shower is over a bath which is I set under the sloping roof, it is tricky to get into & out of & would be quite dangerous for anyone who is flexible with good balance. Bernadette was lovely & very helpful. Owner wants to sell the business. Shows little interest in the venue or guests. Premises tired. Breakfast spartan. We loved the views of the city from the rooms.We found the character of the building a class with trimmings to match .the location was quite but close enough to everything. We had a lovely stay , stayed in the loft room the first night enjoyed the stay loved the whole experience . Food was great in west end ..had such a good time after checking out we were having lunch and decided to check back in . Stayed in the master suite the second night , both great rooms . Very comfortable ..
Another lovely stay at Franklin Villa with all its quirkiness, beautiful balconies, garden and pool. A stroll to the markets and cafes at West End and walking distance to South Bank and the river. Continental breakfast is now included. 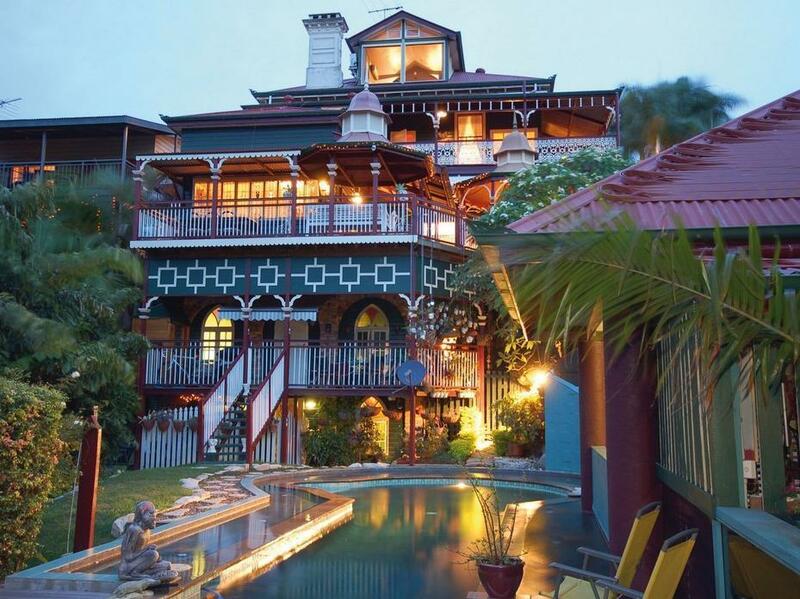 Its not cheap but competitively priced for Brisbane accommodation which is so expensive. Our stay was marred by a huge storm but the owners went out of their way to accommodate us despite being in a difficult position themselves. Having free range of the central areas was absolutely perfect for what we were looking for and the facilities were excellent. Guests must be prepared for some of the 'uniquness'of the facilities. Eclectic decor, great location for walking to boat and unique shops and cafes. 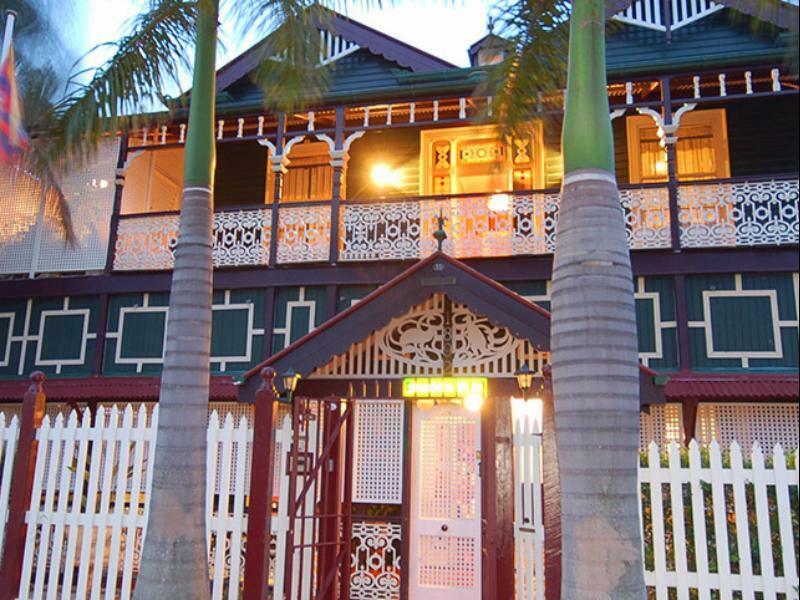 Perfect for a brief or more lengthy stay in Brisbane, affordable and so much nicer than in the busy downtown district. Having access to a full kitchen is a nice amenity, although I was not there long enough to use it. Don't let the "Adams Family" exterior appearance scare you away. The place is a gem! The stay was OK but the first day there was creaking sound and I found that it was coming from a window that doesn't fit. So I put some paper to tighten it up. So I could sleep well from the second night. I booked a room with ensuite (the white room). The bathroom, although was for my own use was across the corridor and other rooms were very close to my room, hence privacy was compromised compared to a real ensuite bathroom. Not sure if other rooms have their ensuits the normal way. Except for this, the property was good value for money and nice old charm. Comfortable; air conditioner was quiet and effective; wish I had some personal time (business traveler)to enjoy relaxing here. Historical Treasure Chest, The Loft Room was quaint and great city view, friendly staff and relaxed comfortable atmosphere, you feel at home. It was only for one night but it was very memorable. The Loft room was romantic and quaint. Relaxing atmosphere and staff and I love the history behind the Franklin Villa. Thank you. One of the most charming places we've ever stayed at. Can't wait to go back! Excellent! We would have liked to stay longer. The parking situation monday to friday had to be explained as there is no council road signage to indicate a 2hrs limit. The hotel has on site parking to cover this period. I shared a room with a friend/colleague to attend an international conference in the South Bank. We were able to treat the facility as if it were home. It had a great kitchen, a balcony for our room with a lovely view; our room was well laid out and the bathroom had a magnificent old bath; the boutique charm was fascinating and the proprietor, Bernadette was just wonderful in helping with problems! the hotel is just a big old house which has been renovate to be the bouteque hotel. the floor is wood, so when other customers walked and talked I could hear the noice and it disturbed me at night and the evironment within the hotel made me scare. there are many old pictures of peeple who uesed to live there in the past and I could assume that those people passed way for long time already. it was fascinating, just wished i could have stayed longer. we were delighted by the beautiful ambience of franklin villa. business partners bernadette and lainey are friendly and charming hosts. a lot of thought has gone into creating an atmosphere of a bygone era. the white room was very roomy. the only drawback was that bathroom was across the hall, the shower was over a hip bath (a falls risk) and all the bedrooms were upstairs. however the bathroom was for the exclusive use of the white room and it was magnificently decorated. on sundays bernadette and lainey host a high tea which we purchased tickets for. it was a delightful treat which we extended by adjourning to the pool room to play billiards. a memorable weekend.